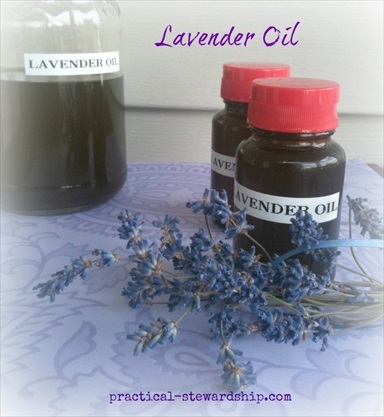 Sonja of Practical Stewardship decided to make some lavender infused oil. In this post she provides instructions on how to make a triple infusion which produces a much stronger lavender oil. She shares some interesting insights about the parts of the lavender plant that produced the best infusion for her. Sonja also includes some great photographs which help to make it a complete and helpful tutorial. Click on the How to Make Lavender Infused Oil link below to see the complete article.